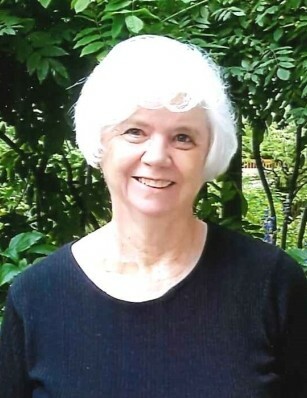 Mrs. Jean Womack Godfrey, 75, of Broadway, went home to be with the Lord on October 16, 2018. Jean was born November 8, 1942 in Harnett County to the late Edsel and Mary Ann Womack. Jean worked for Coty/Pfizer for 32 years before retiring. She loved to read, travel and spend time at the beach. Her favorite past time was spending time with her family and loved ones. A memorial service will be held Friday, October 19, 2018 at 2 pm at Holly Springs Baptist Church with Rev. Scott Yow and Rev. Jerry Parsons presiding. The family will receive friends immediately following the service in the church’s Multi-Purpose Building. Jean is survived by her husband of 55 years, Jerry Dean Godfrey; sons, Kenneth Dean Godfrey of the home and Johnny Brian Godfrey of Longs, SC; brothers, John Nathan Womack of Sanford and Ben Atlas Womack and wife Deborah of Sanford; sister, Lora Ann Womack Kelley and husband Roger of Sanford; granddaughter, Ashley Godfrey Boles and husband Brian of Sanford; and great-grandchildren, Cierra, Alaina and Brian Boles, Jr. In lieu of flowers, the family requests donations be made to First Health Hospice House, 251 Campground Road, West End, NC 27376.